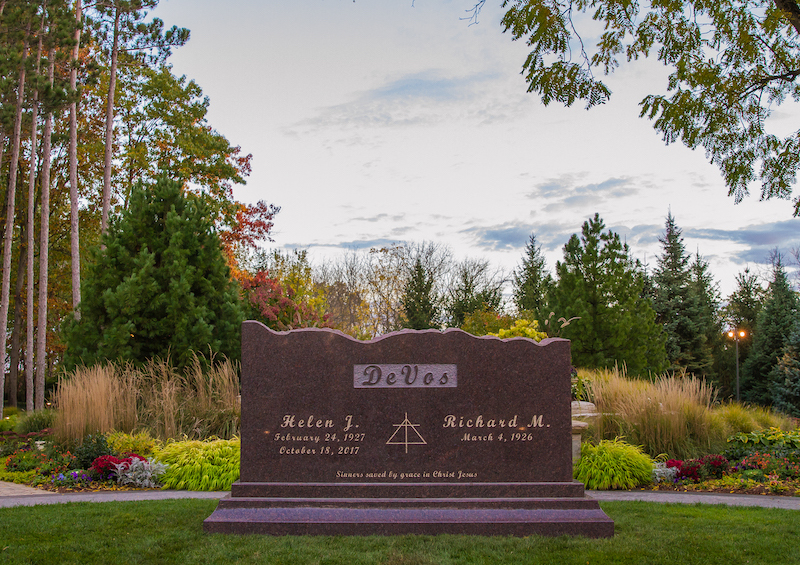 Helen DeVos, who died October 18, 2017, at age 90, was laid to rest October 21 at the family's Memorial Gardens in Ada, Michigan, surrounded by her family. Two days later, more than 700 people lined up for a public visitation at the Amway Grand Plaza in Grand Rapids, Michigan, to express their condolences and share what Helen meant to them and the community. The kind words shared were among many delivered in the days after her death, including in media reports, in messages sent directly to the family and in the nearly 1,600 tributes posted from around the world on HelenDeVos.com. Many messages praised Helen’s philanthropy, which went beyond her Grand Rapids community to schools and programs spanning the nation and globe. Helen’s giving with husband Rich, who passed away in September 2018, focused on music, the arts, health care, and Christian education. Richard C. Breon, former president & CEO of Spectrum Health, which is home to the Helen DeVos Children’s Hospital, released a statement honoring her for her contributions that touched so many lives. More than 800 people attended the private funeral and Celebration of Life funeral services on October 24 at LaGrave Christian Reformed Church in Grand Rapids. A simulcast of the service for community members at the JW Marriott International Ballroom was attended by hundreds more. It was followed by a public reception at the Amway Grand Plaza Hotel Ambassador Ballroom. During the funeral service, the Rev. Stanley Mast said everything about it was an expression of Helen’s faith and should be considered as a final gift from her to them. He also shared the final moments of Helen’s life. “Helen was actively dying, and one of her caregivers said to Rich, ‘Rich why don’t you go in and pray her into heaven,’” Mast said. “And so he rolled his wheelchair up to the bed, and took her hand, bowed his head, closed his eyes and prayed for her. Thank you for choosing to donate to one of the charities Helen held dear.